When you lift a rock in your garden and glimpse earthworms and tiny insects hustling for cover, you’ve just encountered the celebrities of soil. We all know them on sight. The leggy, the skinny, the pale…the surprisingly fast. Behind this fleeting moment are what may be considered the producers, editors, and set designers of the mysterious and complex world of soil—fungi. They often go unrecognized, simply because most of us can’t see them. 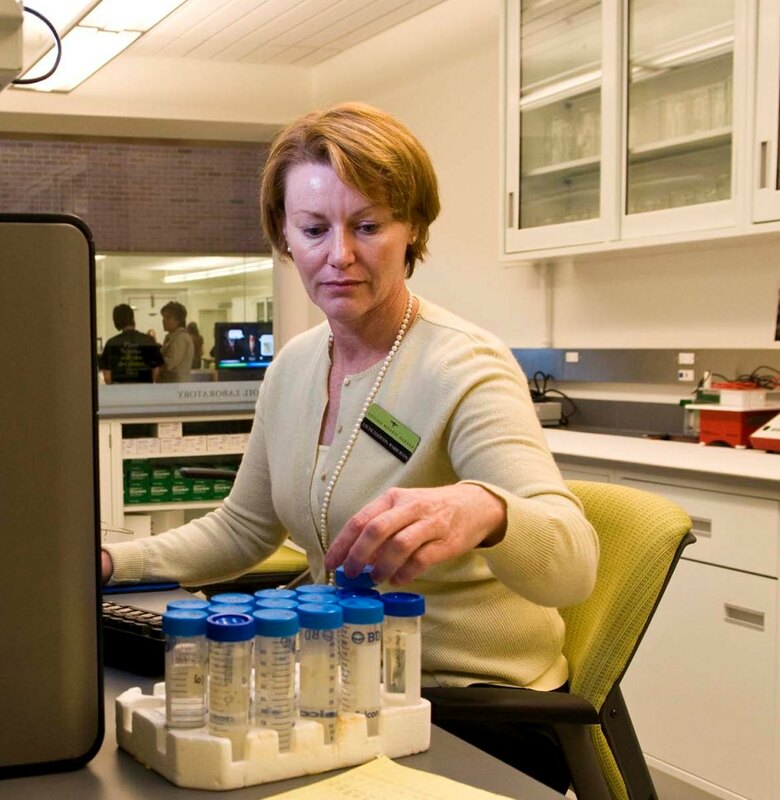 Fortunately, new technologies are helping experts, like Chicago Botanic Garden scientist Louise Egerton-Warburton, Ph.D., get a better look at fungi than ever before, and discover vital information. “One of the problems we have with soil science is that you can’t see into it so you really depend on a lot of techniques and methods to work out what’s happening,” explained Dr. Egerton-Warburton, associate conservation scientist in soil and microbial ecology. In the last year, she has used high-throughput sequencing (also termed Next Generation Sequencing) to identify more than 120 species of mycorrhizal fungi in a single plant community. In contrast, previous reports suggested there were, at most, about 55 mycorrhizal species in a plant community. These tiny heroes are microscopic organisms that attach themselves to plant roots, for example, to carry out critical functions that support all life on earth. They are essential for the well-being of more than 85 percent of all plants, including those in your garden. Mushrooms are the above-ground fruiting body of fungi. If climate change results in more intense rainfall and drought—as is predicted by climate change scientists—mycorrhizal fungi will also play an important role in processing varied levels of water in the soil. Egerton-Warburton has just returned from November field work in the Yucatán peninsula of Mexico, where she has been testing the responses of mycorrhizal fungi to changes in rainfall and soil moisture, especially to drought. Will fungi be able to keep pace? Will they be able to survive? What does that mean for other plant life? 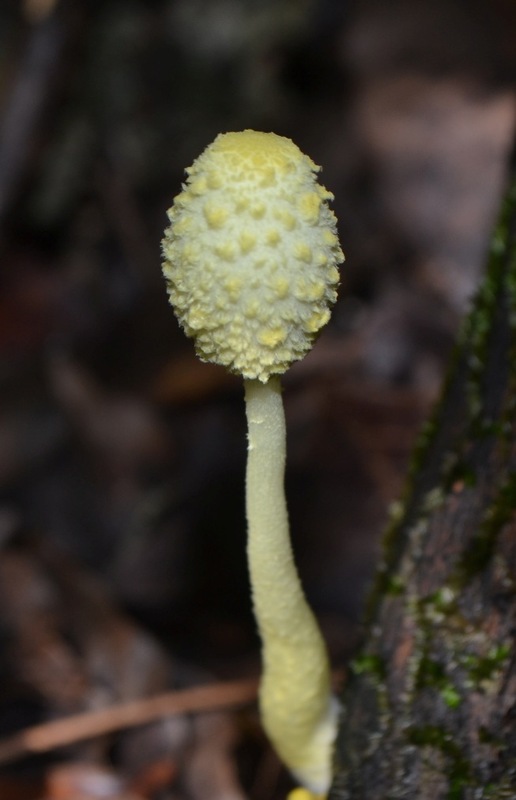 “Fungi are really good indicators of any environmental problems. So they are more likely to show the effects of any environmental stress before the plants will,” she said. Each type of fungi also has a specific role, according to Egerton-Warburton, with some specialized to take up nutrients from the soil, while others cooperate to complete a function, such as fully decomposing a leaf. A lot of fungi are needed to keep the system working. “You get 110 yards of fungal material in every teaspoon of soil,” she explained. Aside from breaking down deceased plant material, fungi play a key role in many plant-soil interactions and the redistribution of resources in an ecosystem. They filter water that runs into the ground, cleaning it before it hits the bottom aquifers and drains out into rivers. Also, in the top few inches of soil, many fungi are respiring, along with their earthworm and other living counterparts, helping to filter gases and air that move through the system. Of growing interest, is also the fact that fungi could have a major role in soil carbon sequestration. Soil carbon sequestration is the process of transferring carbon dioxide from the atmosphere into the soil in a form that is not immediately reemitted. For the past four years, Egerton-Warburton and colleagues at Northwestern University have been working to better understand the flow of carbon through fungal communities that results in long-term soil carbon sequestration. Soil’s capacity to store carbon is a reason for hope and a potential way to mitigate climate change. According to Egerton-Warburton, soil is known to hold three times more carbon than plants and trees above ground. “Maybe there are other ways we can manage the systems and enhance that capacity in the soil,” she said. 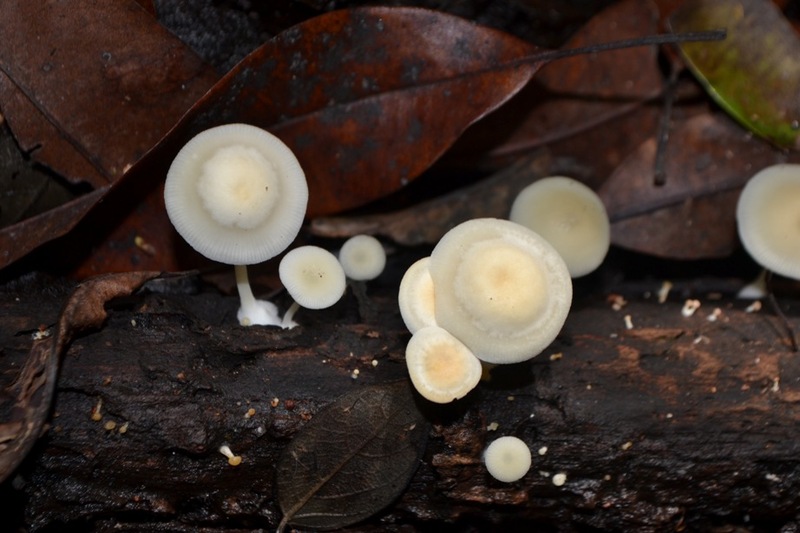 The study has required a lot of ‘getting to know you’, as the researchers first sought to identify each type of fungi involved in the process of carbon sequestration. As plant parts above ground are faced with absorbing and converting larger and larger amounts of carbon dioxide from our atmosphere into sugars, and sending it down into their roots, the more beneficial it will be to have a healthy suite of fungi waiting to receive it, use it, and move it along for future long-term storage. Part of this equation has been to understand which fungi benefit from the increasing supply of sugar. Previous work by Egerton-Warburton has shown that mycorrhizal fungi respond to increases in atmospheric carbon dioxide by producing large quantities of hyphae, a fine root-like structure, in the soil. This is because increases in atmospheric carbon dioxide allow a plant to produce more sugars during photosynthesis, and these sugars are shunted below ground for use by roots and their mycorrhizal fungi. At the other end of the equation are saprophytic and decomposer fungi, waiting to break down the new hyphae. Recent work in the Dixon Prairie has used the high throughput sequencing and chemical fingerprinting to identify the fungi involved in this decomposition phase. Once that is resolved, they will be able to better understand how the fungi interact and balance the cycle carbon through specific pathways of activity. Learn more about soil science in the winter 2015-16 issue of Keep Growing, pages 28-30. 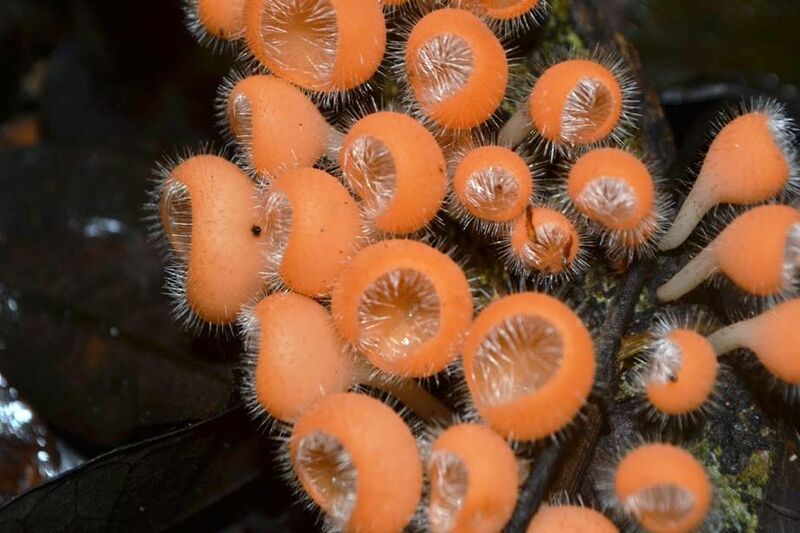 The more the merrier, when it comes to fungi, and when it comes to people who are willing to help them endure, said Egerton-Warburton. The scientist often works with students who are interested in careers in the field, but encourages additional people to consider this critical line of work. “There’s a real need for soil ecologists in the country,” she said. The good news is that the future story of fungi is one we can all help to script. Gardeners, she advised, can pay attention to the type of mulch they use in their garden, and plant lots of native species that will naturally enrich the function of that wonderful world that holds us up. Wonderful post on a fascinating subject. Thank you! Great article, important work! Now that the Amynthas spp. of Asian earthworms (“jumping worms”, “crazy snake worms”) are replacing the previous European earthworms common on the North Shore, and Amynthas are devouring the mycorrhizal fungi and other organic matter present in our gardens and landscaping, is there anything we organic gardeners can do to support the fungi and discourage the worms? What is the CBG doing about the worms?